3328 Highland Park, Ashville, NY.| MLS# R1121291 | Chautauqua Lake Real Estate Services. Informed, Professional Real Estate Information Serving Buyers and Sellers Interested in Lake Chautauqua Real Estate and Chautauqua County NY Real Estate. Rick and Julia McMahon Real Estate Advantage Since 1992. 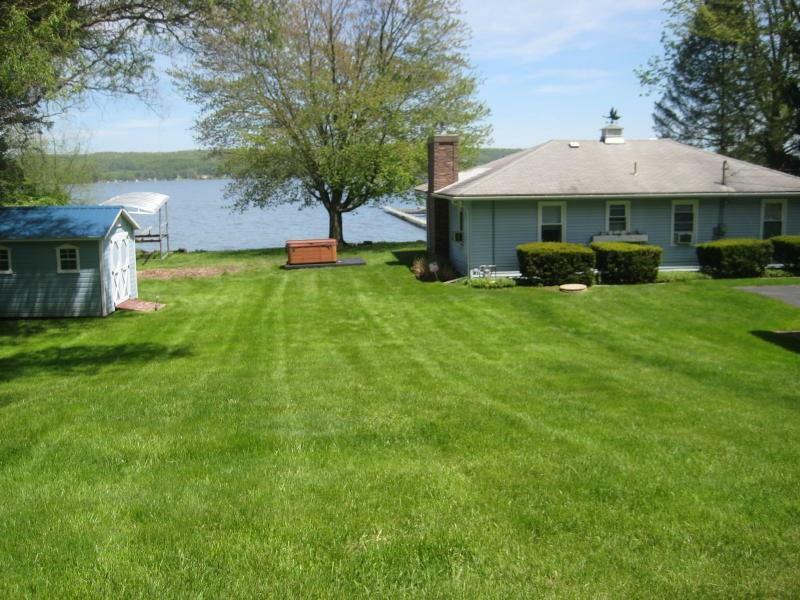 100 FEET OF FRONTAGE ON CHAUTAUQUA LAKE! This is only part of the allure of this 3 bedroom, 1 bath, ranch home on beautiful Chautauqua Lake. Inside the Kitchen/Dining Room has been remodeled within the past 5 years (marble counter tops). There is a gas fireplace with an electric ignition. Also, a new tankless water heater. Breathtaking Lake view from the glass enclosed sun porch (10X28'). All appliances stay: stove, refrigerator,dishwasher,microwave and stackable washer and dryer. Outside there is an Amish shed, a refurbished chimney, and a keyless entry workshop/guest house consisting of a large bedroom and full bath. The home has vinyl siding, a 4 person hot tub, also 22 sections of aluminum dock. This is a great property! Move in condition! Call soon for your appointment. Nearest Cross Street: Highland Ave.